Have you ever noticed all the gluten-free flours that are out there? There’s just so many of them, it’s hard to know where to start. 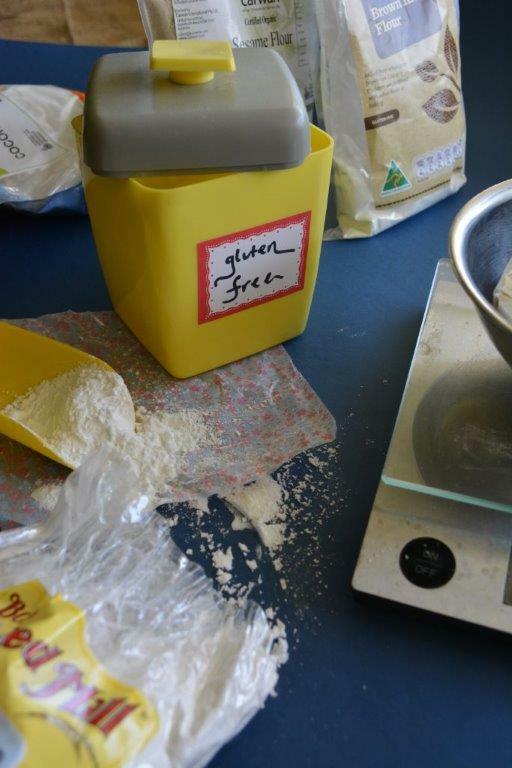 I wrote about gluten-free flours in the introductory pages of my eCookbook and I’ve reproduced an amended version below. I hope it’s of some use to you, and more importantly, I hope it saves you the cost and inconvenience of buying a heap of flours that you’ll hardly ever use. You could stock your pantry with all of these flours but the truth is that you’ll never use many of them and others you’ll use only once or twice. That’s an expensive way to explore your gluten-free world. it’s best to weigh your flours rather than use cup measurements, as the varying fineness of their texture means that, for example, a single cup of one flour will differ in weight from another flour. Through much trial and error, I have come up with my own flour combination that uses tapioca flour (or starch) and the high protein sorghum and brown rice flours. You will find this combination in most of my cake and muffin recipes. Occasionally, I use sesame flour or coconut flour, as they have distinctive tastes. Sesame flour also has an oily texture, similar to almond flour and other nut flours, so it’s a great option to use in their place, for example in my recipe for Apple and Maple Scones. If you’ve ever cooked with any of the nut flours, you will know that they work wonders in gluten-free baked goods. They lock in the moisture and ensure a dense texture that prevents your cakes crumbling before your eyes. But if you have a pre-school or school aged child, you will also know the dangers of packing nut products in your child’s lunchbox. No-one wants to be responsible for causing an anaphylactic reaction in any child. 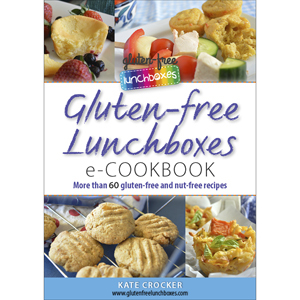 That is an added challenge for the gluten-free lunchbox and for that reason, all of my recipes are nut-free. For other recipes, such as biscuit, cookie and pikelet recipes where it’s not so important to achieve a lovely airy texture, I have used plain or self-raising flour mixes from the supermarket. They work just fine for those recipes and it’s great to have the option of occasionally using something that’s been pre-mixed. But you should bear in mind that different brands of flour mixes can vary in absorbency. You need to be aware of the consistency of whatever you are baking and add more flour or more liquid depending on the brand you are using. I tend to favour the Orgran brand of flour mixes.